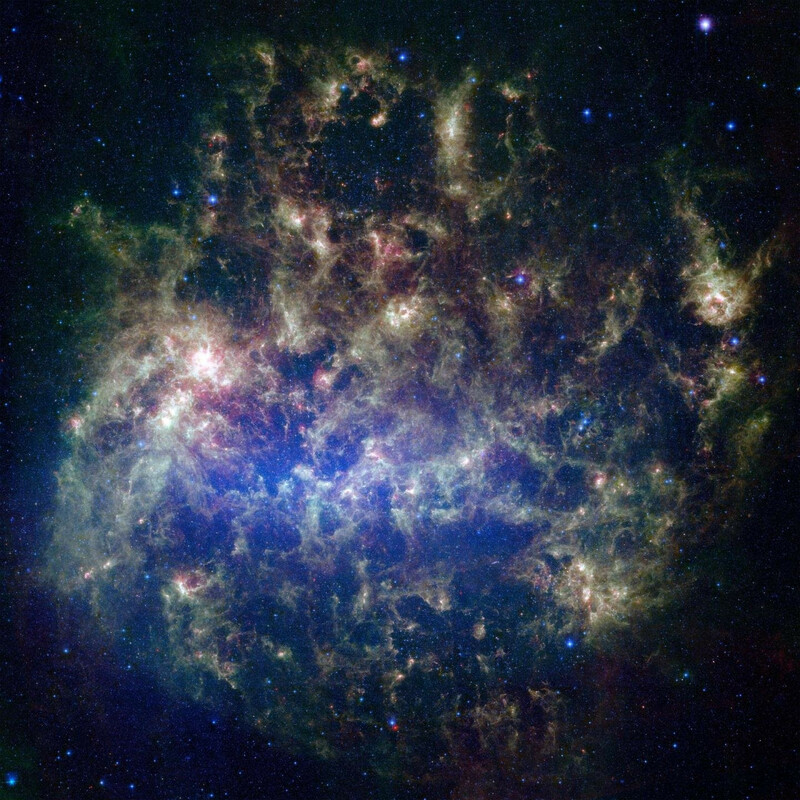 A new study by astrophysicists at the University of Durham, UK, predicts that the Large Magellanic Cloud may encounter the Milky Way in 2 billion years. The collision can happen much earlier than the predicted collision between the Milky Way and another neighboring galaxy, Andromeda, which can hit our galaxy in eight billion years. A catastrophic merger with the Large Magellanic Cloud will wake the dormant black hole of our galaxy, which will begin to absorb the surrounding gas and increase in size up to 10 times. The active black hole emits high-energy radiation, and, although these cosmic fireworks are unlikely to affect life on Earth, scientists say there is a small chance that as a result of the initial collision our solar system will be dropped into space. This image of the NASA Spitzer space telescope shows the Large Magellanic Cloud, a satellite galaxy of our Milky Way galaxy. Galaxies like our Milky Way are surrounded by a group of smaller satellite galaxies that revolve around them, like bees around a hive. As a rule, these satellite galaxies live quietly and peacefully and revolve around their owners for many billions of years. However, from time to time they descend to the center, collide and are absorbed by their host galaxy. The Large Magellanic Cloud is the brightest satellite galaxy of the Milky Way, which entered our area only 1.5 billion years ago. It is located about 163,000 light years from the Milky Way. Until recently, astronomers believed that it would either revolve around the Milky Way for many billions of years, or it would leave the gravitational pull of our galaxy due to its high speed. But recent measurements show that dark matter in the Large Magellanic Cloud is almost 2 times larger than previously thought. And since its mass is more than expected, the Large Magellanic Cloud quickly loses energy and is doomed to collide with our galaxy. 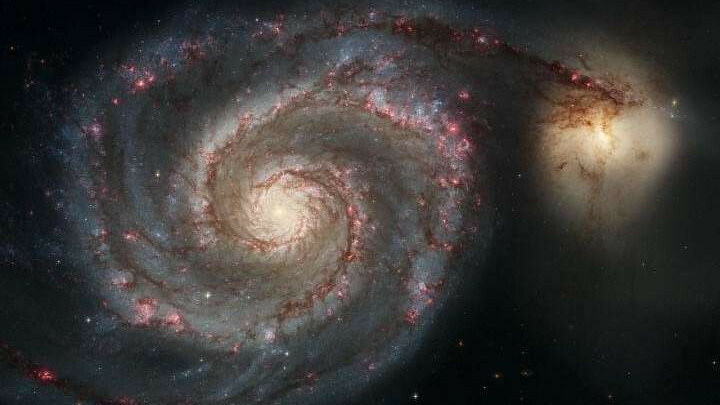 The research team, led by scientists from the Institute of Computational Cosmology of the University of Darem and the University of Helsinki in Finland, used the EAGLE galaxy supercomputer simulation to predict collisions. Researchers say that the clash between the Large Magellanic Cloud and the Milky Way should be spectacular.